PACSstar is a hosted and integrated PACS workflow management software solution for hospitals, radiologists, imaging centers and teleradiology service providers. PACStar was designed by radiologists in collaboration with medical imaging systems software specialists specifically for the day-to-day requirements of hospitals, radiologists, imaging centers and teleradiology service providers. Important features of PACSstar include automatic order generation, single-click radiologist's worklist management, document storage, an advanced image/information routing engine and many more. To learn more about PACSstar Features, click here. Hospitals, radiologists and imaging centers do not need to install software or configure hardware because PACSstar is a hosted teleradiology PACS workflow solution. This reduces the complexity and time required during the implementation process. Perfect Imaging's PACS system implementation process is typically conducted remotely and is managed by an experienced implementation consultant. Perfect Imaging medical imaging professionals will ensure a smooth implementation process. 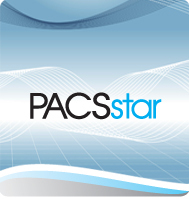 To get more information about the PACSstar implementation and installation process, click here. Perfect Imaging's medical imaging technologists work with our customers to simplify the installation and use of PACSstar. Once it has been installed, it will improve workflow and provide a universal format for economical, and convenient access to image storage for any size or type organization needing a PACS or teleradiology solution. We provide a wide range of customer solutions including XML programming services, data migration services, PACSstar interface training for PACS system administrators and radiologists, online and phone support to make the use of PACSstar simple and effective and much more. To learn about PACS solutions offered by Perfect Imaging for hospitals, radiologists and imaging centers, click here.